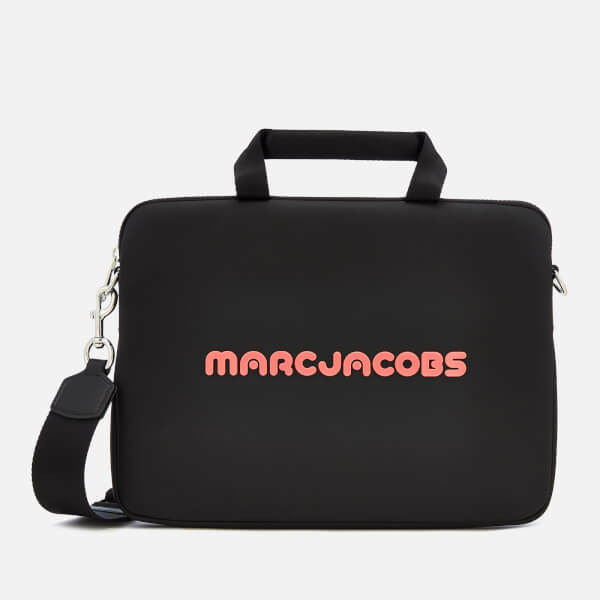 Black commuter case from marc Jacobs. 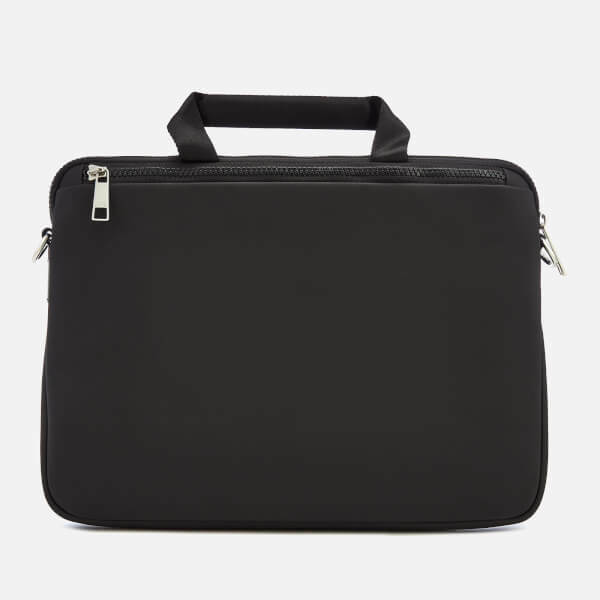 Presented in a lightweight yet durable material, the padded laptop case features a top handle and an adjustable, detachable shoulder strap for versatile styling. The lined main compartment and rear pocket are both secured with zip fastenings. 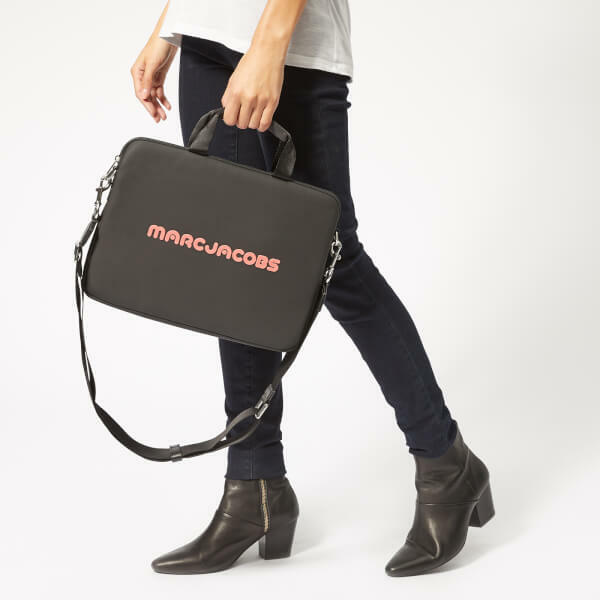 Pink rubberised logo detail to the front provides the finishing touch. Dimensions: H: 25cm x W: 34cm x D: 3cm. Handle Drop: 7cm. Strap Drop: 45cm.